20% off on G Suite cost for first year. Single or bulk no matter how many accounts you purchase, you will get flat 20% discount. Get FREE Intranet site template from Webmusking if you purchase bulk accounts, 10 accounts or more. PLEASE NOTE: Here are 2 promo codes given. Use any 1 promo code. We also provide Promo codes & Free template for countries within AMERICA zone as stated below "on request basis". If you are from below listed countries then 1st you need to send us a request. After receiving your request we can provide this promotional offer & free Intranet template for you. If your country is not listed here, please tell us about your Country, requirement & the numbers of account you need. 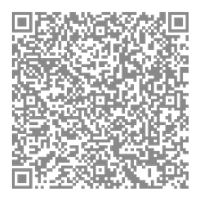 We will ask Google about your requirement, if they accept your request, we will provide this promotional offer for you. When you successfully received 20% discount from our Promo code, you are automatically elegible to claim an Intranet site template. Just let us inform about your Sign Up with G-Suite. Step 2: We will conferm from Google about your Sign-up history. Step 3: Once we got the confermation from Google we will send the template to you. Minimum 10 G-suite accounts need to be purchased to avail the FREE Intranet template. As you can see in the screenshot image below for clear understanding where to apply the promo code. 1 Why am i getting the error “The promotion code you entered does not apply to your country/region”? 2 How to fix this error “The promotion code you entered has already been used before”? 3 I already have a G Suite account, can i use promo code during renewal or my billing? 4 Why none of these promo codes is not working, the G-Suite site says “The promotion code you entered is not valid” ? 5 Why am i not able to redeem coupon code in Google play store? 6 How to fix “The promotion code you entered is not valid for selected product”? 7 What is the difference between Annual and Monthly flexible plan? 8 Why my country is not listed in selection for receiving promo codes? 9 If i cancel my annual plan prior to end of the year, what happens to promotion code discount given while signup? 10 I want to know more about the FREE Intranet template. 11 What is the general market price of the template? 12 I am going to purchase 3-5 G suite accounts, will I get an Intranet template free? 13 I am going to buy 200 G-Suite accounts, can I expect a premium quality Intranet template? Why am i getting the error “The promotion code you entered does not apply to your country/region”? Answer: While requesting promo code with us, please select your country where you signed up for G Suite Basic account as G Suite promo codes work are applicable only to respective countries. How to fix this error “The promotion code you entered has already been used before”? Answer: You get this error when the promo code has already been used by others, in this case, you can request a new coupon code using above button and you will get a response instantly. I already have a G Suite account, can i use promo code during renewal or my billing? Answer: No G Suite promo codes are applicable only for the new customers or the customers are in trial period. Why none of these promo codes is not working, the G-Suite site says “The promotion code you entered is not valid” ? Answer: Make sure that the promo code you entered is correct. The promo code is case sensitive and it generally have minimum of 15 letters. Why am i not able to redeem coupon code in Google play store? Answer: These promo codes are applicable on G Suite only. How to fix “The promotion code you entered is not valid for selected product”? 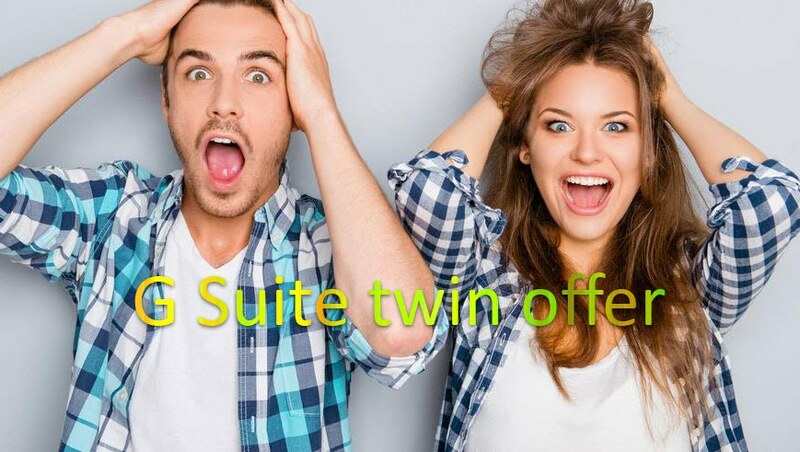 Answer: These coupons only work for flexible and annual plans of G Suite Basic but not on all countries G Suite unlimited or business editions, currently G Suite business promo codes are available only in Australia. What is the difference between Annual and Monthly flexible plan? Answer: The annual plan is 12 month commitment for target number of users in advance, and the monthly flexible plan is "pay as you use" basis; this means you don’t need to commit for the whole years subscription & number of users. You can add or delete users on monthly basis and pay as you use on monthly basis. But in monthly plan you will end up paying additional 17% of amount than in annual plan. For annual commitment you will get that 17% discount. Why my country is not listed in selection for receiving promo codes? We also provide Promo codes & Free template for countries in AMERICA as stated below "on request basis". If you are from below listed countries then 1st you need to send us a request. After receiving your request we can provide this discount & free offer for you. If your country is not listed here, please tell us about your Country, requirement & the numbers of account you need, we will ask Google about your requirement, if they accept your request, we will provide this promotional offer for you. If i cancel my annual plan prior to end of the year, what happens to promotion code discount given while signup? 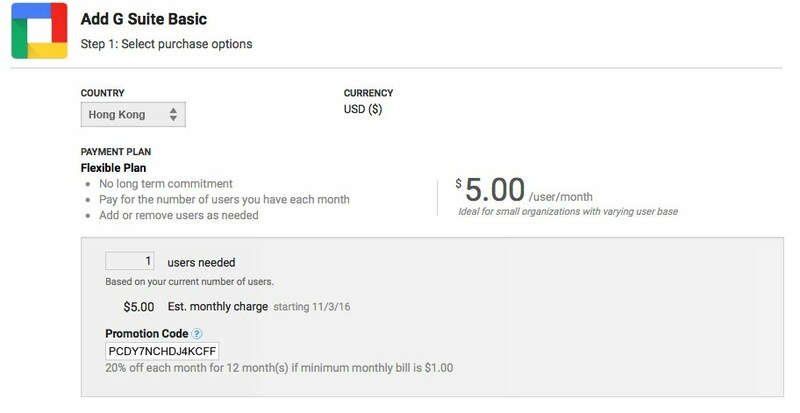 Answer: If you cancel your account which is in annual plan before its billing cycle, G Suite will charge you for the entire year price less promotional discount. I want to know more about the FREE Intranet template. 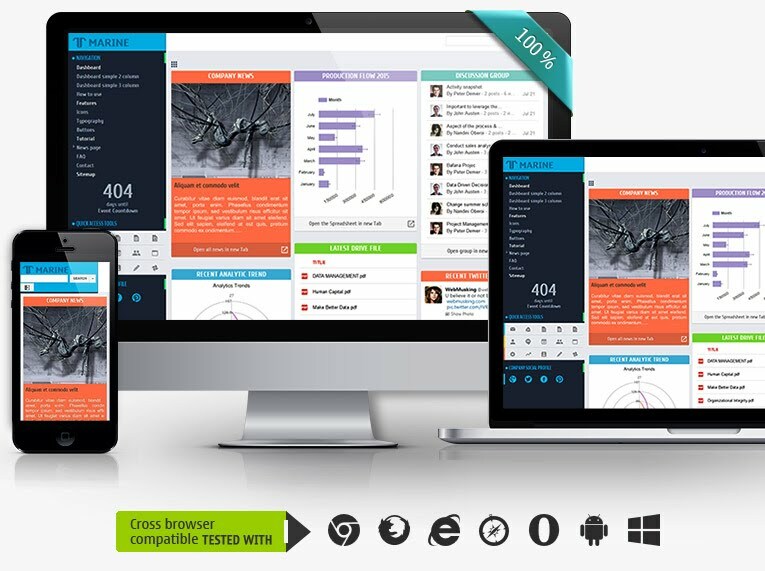 All Intranet templates are responsive, works on any browser, any device. We designed each template with extra care so it fulfill the core needs of a business house. SPEED is mandatory for a corporate Intranet site, and speed with beauty is an added bonus.Our mantra is to provide great user experience with elegant blend of basic requirements. Crafted specially, giving attention to every details. This is a celebration of creativity with guaranteed smoothness in UI/UX. According to surveys done by Akamai and Gomez.com, 57% of user expect a site to load in 5 seconds or less, and they tend to abandon a site that isn't loaded within 7 seconds. And the Good news is all our Intranet template's page load time is 1.8 seconds to 5 seconds. What is the general market price of the template? Answer: Generally it costs 300 to 1200 US Dollar depends on the added features & quality. I am going to purchase 3-5 G suite accounts, will I get an Intranet template free? Answer: We are providing FREE Intranet template along with minimum purchase of 10 G-suite user accounts. Our Intranet template is designed specially bulk users & corporate business house. But you can still get the 20% flat discount on the G-Suite cost, which is basically for everyone. I am going to buy 200 G-Suite accounts, can I expect a premium quality Intranet template? Answer: Customer those bought 100+ G-Suite accounts will get a premium quality Intranet site template worth 1200 US Dollar. Even If you need a custom theme design as per your brand color & feels; we will design that for you at 100% FREE.